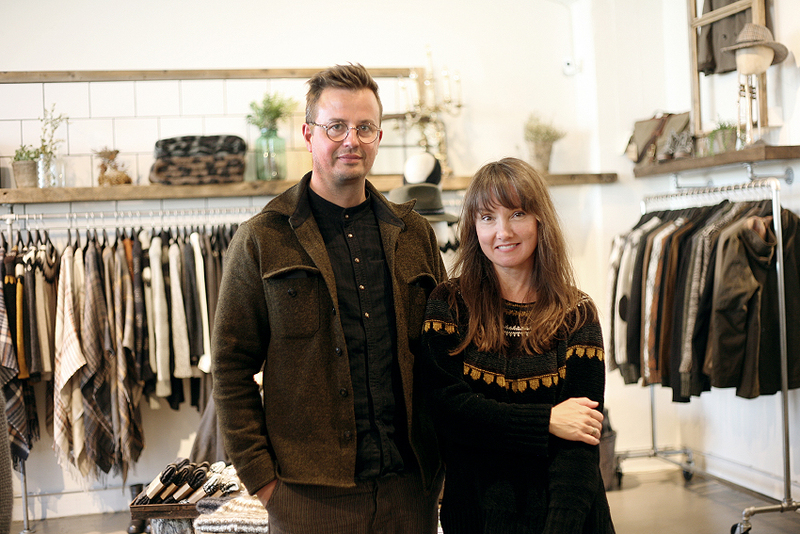 Farmers Market is an Icelandic design company and clothing brand, founded in 2005 by a young artist couple, designer Bergthora Gudnadottir and musician Jóel Pálsson. With strong ties to the vibrant Icelandic music and design scene, the Farmers Market design concept and inspiration draws from Icelandic roots, combining classic Nordic design elements with chic modernity. The Fashiongton Post: What did your interest to clothes design start from? How did you realize it was your calling? Bergthora Gudnadottir: I’ve have been fascinated with clothes and textiles since I was a little girl, but without realizing that it was a calling. After my studies in textile design at the art school this came very naturally to me. F.P. : Do you remember which clothes you created first? B.G. : Yes, I knitted a scarf for my father when I was 5 years old. F.P. : Where do you get your inspiration when working on the new collections? B.G. : From our everyday life, the weather and then all kinds of art inspires me, music, fine art, films etc. F.P. : Describe the whole creative process that you go through when creating a new thing. B.G. : It always starts with colors and textiles after that I create something. From an idea to a finished product the process is usually from 6 to 12 months, but sometimes it can take more time. F.P. : What is the portrait of a modern client of Farmers Market? B.G. : It is a person who appreciates nature, the characteristics of natural fibers and our sustainable concept. F.P. : Who is an example to follow in the fashion world for you, and to whose opinion do you usually listen to? B.G. : I appreciate people in the art and fashion world that have a strong identity and are consistent in their approach and style. Since my partner in the company happens to be my husband we talk a lot about our concept and strategy, so I would name him as the one I usually listen to. F.P. : Every designer has his/her own individual style in clothes design. How would you characterize the style of Farmers Market? B.G. : It is a laid back every day style with a romantic touch. F.P. : Do you think your brand has gained more popularity in Iceland or other countries? B.G. : Iceland is our home market and is very important to us but we sell equally to Icelanders and people from abroad. F.P. : You were born in Iceland, and your brand in some way is a symbol of an Icelandic style and culture. What does it mean for you to be an Icelander? And what does it mean for you to dress like an Icelander? B.G. : It has a lot to do with our cold climate of course but also the color palette of our nature is very visible in the way I dress. F.P. 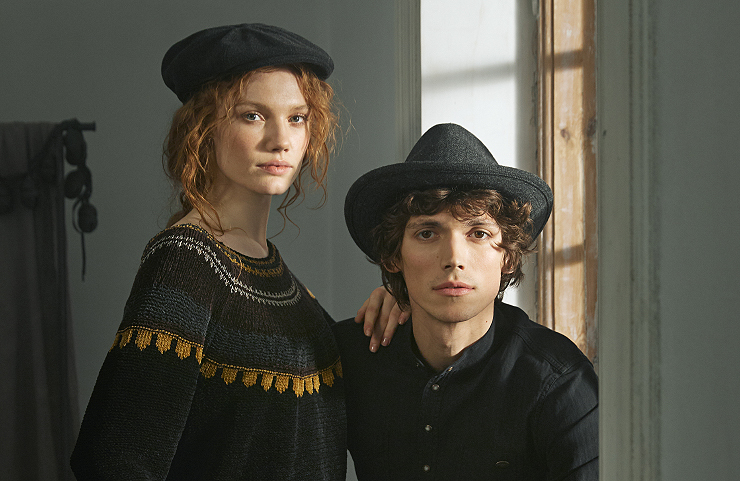 : As we know all the clothes is being designed in Iceland but the actual production usually takes place in Portugal, Lithuania, and several other countries. Was this decision taken to save operational/production cost or is there anything beyond? B.G. 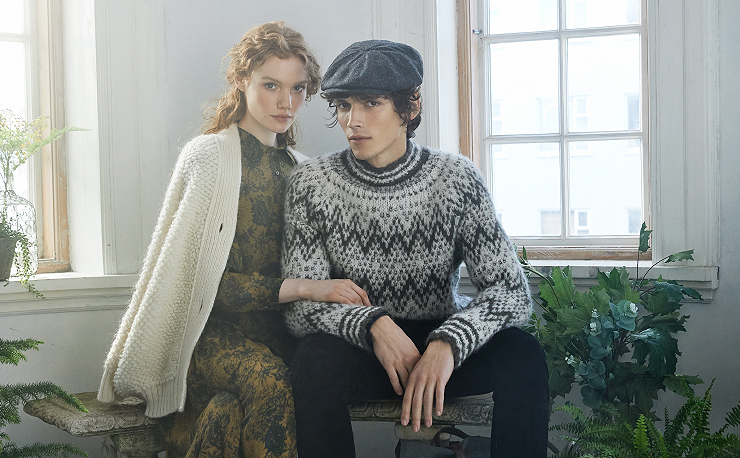 : We use all capacities that are available in Iceland in terms of production, especially the items that we make from Icelandic wool, but the options are limited. Apart from that we work with other skilled suppliers that we have carefully chosen through the years. F.P. : What do you think about the “fast fashion”? B.G. : I consider it as unsustainable and very unfashionable itself. F.P. : Do you remember your first customer? And have you had initially a fear of lack of demand for the future clothes of your brand? B.G. : I do remember a lot of our first customers and many of them are still our customers. We do not make big collections so if lack of demand will occur then that’s ok. F.P. : What are your favorite destination points on the world map? B.G. : There are too many for me to point one out, but I must say that a good summer day in Iceland beats all other destinations. F.P. : What does your workplace look like and what tools do you use during your work or what materials do you prefer for it? B.G. : My workplace usually looks like a big mess with lots of yarns, fabrics and stuff that I tend to collect. But the materials I use are yarns, knitting pins, paper, pencil and an eraser, I guess I’m old school. B.G. : In terms of style, I would say “less is more”.